Two and a half years ago, I walked into the ICU at a local hospital to visit my husband. This wonderful man–my confidante and life-long partner–was strapped to a bed with tubes and wires protruding from all over his body. The conditions that had brought him here had been sudden and scary, and we were both still reeling from the shock of it all. His eyes opened as I walked in. He gave a faint smile (about all he could muster) as he saw the t-shirt I was wearing. “Thank you,” he said, tears welling up in his eyes. My eyes began to tear up too, and I couldn’t decide if I was wearing the shirt more for him or for me. I desperately wanted to do something–anything–that would encourage my beloved. When you’re in a situation like this, you want to do anything you can to bless your marriage. We both knew that his diagnosis was going to rock our world, and I wanted to remind him (and myself) that he would always, always be my hero. Although it was simple, wearing this t-shirt was a profound statement for both of us. I have since worn that shirt many times. Sometimes I’ve worn it with purposeful intention for blessing my own marriage (like on the days when we’d had an argument or if I knew my husband was going through something tough at work). Other times I’ve worn it as a bold statement to others that yes, marriage isn’t always easy but that it is possible to still be deeply in love after four kids and nearly 15 years of marriage. Sometimes that’s a powerful message that we all need to hear… isn’t it? I was first introduced to Union28 (the designer of that shirt and other marriage-themed apparel) more than seven years ago at a MOPS convention. Moms were swarming the table, oohing and ahhing (and quite honestly, nearly fighting!) over these amazing shirts. Union28 sold out of style after style that day. Guess I wasn’t the only one who wanted to find a simple way to encourage my marriage. Since then, that simple shirt has paid huge dividends in my marriage. 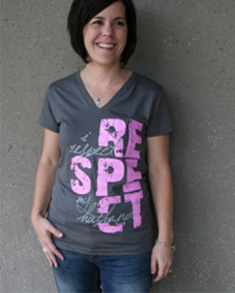 And it turns out that I’m not the only one that has discovered these shirts give a powerful testimony. 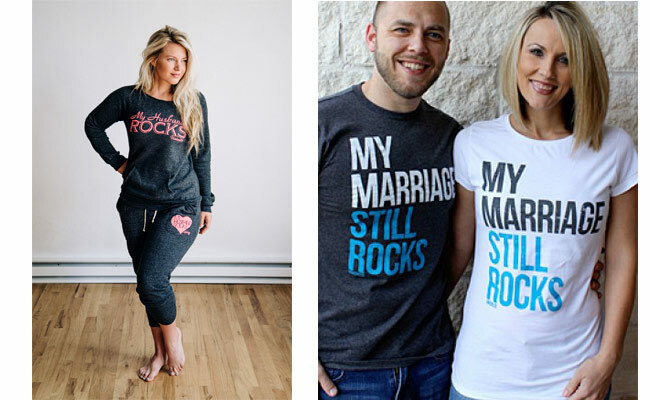 As one of the Union28 owners recently shared with me, Union 28‘s t-shirts, sweatshirts and other other apparel (for men, women and children) have brought hope, encouragement and strength to marriages across the nation. 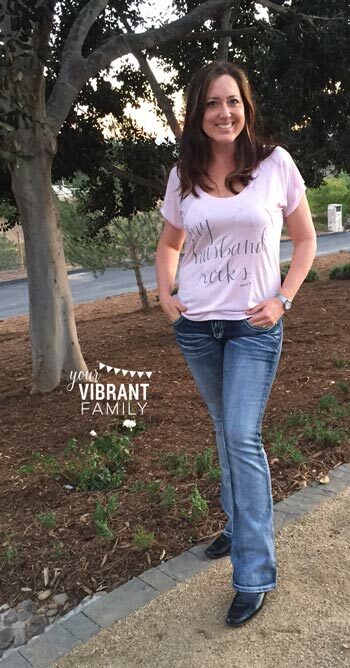 Jaclyn of Union28 shared with me amazing stories, such as one from a church in Illinois where many of the women showed up at church on Father’s Day morning surprising their husbands with the bold statements of love and appreciation for their men on their Union28 tees! “There were marriages that were going through difficult times, and yet, the wives wanted to make a bold statement in the midst of trials and hurts,” Jaclyn shared. “One woman, who was actually separated at the time, wore a shirt that said ‘I Respect My Husband.’ She wore it even though he didn’t show up at church that morning. 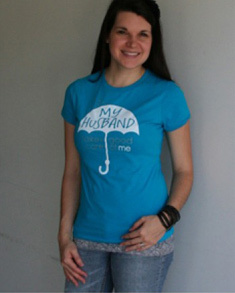 One shirt known as the “Umbrella Tee” (My Husband Takes Good Care of Me) has had the most stories of marriages being strengthened for families who have battled cancer. Jaclyn herself shared that her husband wears one of their marriage t-shirts when she’s in labor! “The nurses obviously think that is the most adorable thing ever!” she said. 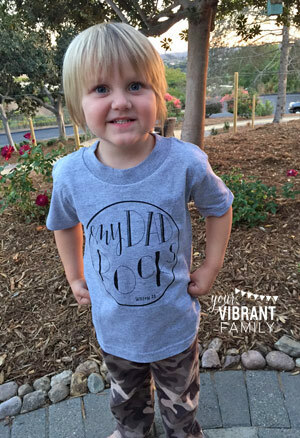 Friends, these are obviously more than just “t-shirts.” They are a ministry within a family (and to the outside world). How could wearing one of these Union28 shirts make an bless your marriage and encourage your husband, especially during a difficult time? 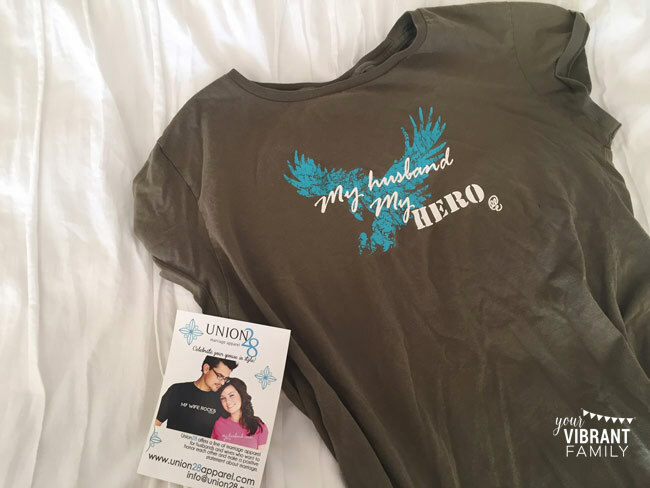 I have been so grateful for my “My Husband, My Hero” shirt, and I love wearing my new one! Or how would you feel if your husband wore one of these shirts for you? 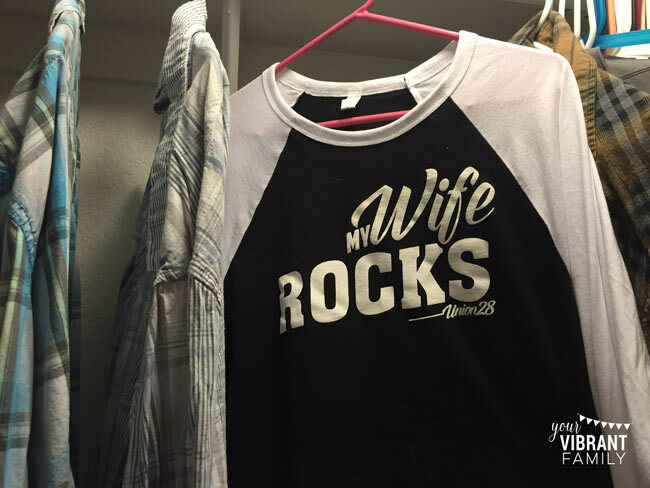 Since receiving the shirt, I’ve placed it at the front of my husband’s shirt rack in our closet (is that bad?!)! And how can wearing a t-shirt like this demonstrate to your kids that, yes, marriage is a blessing, even when it’s imperfect? How can these simple gifts show our kids how we are to love and respect our spouses, and even set an incredible example to them for their future marriages? My husband and I want our kids to feel secure in our home and wearing this kind of stylish and marriage-building apparel is one easy way to do that. 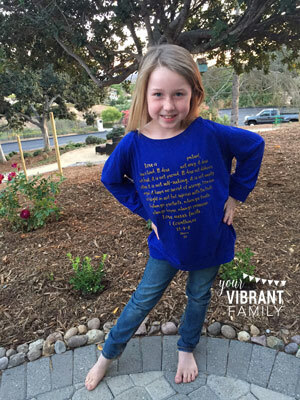 I love that the Union28 marriage apparel not only testifies to kids through their parents’ t-shirts, but that kids can also proclaim their own messages that love, marriage and happy families still do exist. Now these are amazing Christmas gifts, right? What an awesome (and easy) way to bless your spouse and your entire family. FTC Disclosure: I received products from Union28 and was compensated for my time. However, all opinions stated here are 100 percent mine, and I was not required to post a positive review. Is Prince Charming Ruining Your Marriage?